Figure 4. 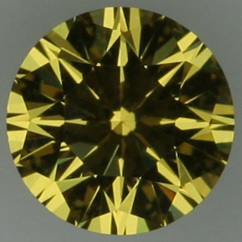 A colored round brillian cut CZ with proportions close to Tolkowsky is photographed and modeled (botom row) under a ring-shaped, daylight-equivalent lamp. 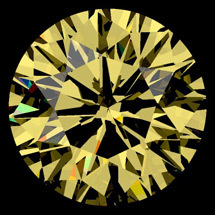 The DiamCalc software can closely model the appearance of polished colored stones in any lighting condition, thus it is possible to model the appearance of any colored CZ or diamond in various cuts as represented in figure 5. Figure 5. 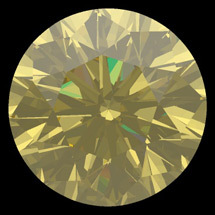 Five cuts (round, princess, radiant, oval, and triangle) are modeled in DiamCalc software under various illumination conditions. 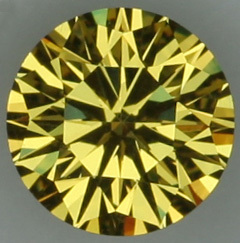 The round, princess, and radiant cuts are scanned models with real symmetry deviations. The oval and the triangle cuts are parametrical models. Each row contains images of the same stone model in different lighting conditions. 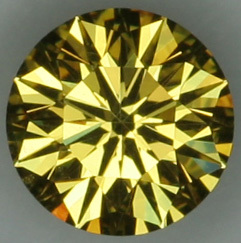 The ring lightings are symmetrical illuminations, while the office and jewelry store environments are "real situation" illuminations; these stones are modeled face-up. 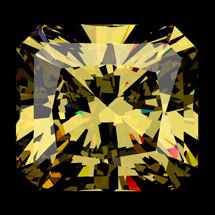 Even though these results were obtained with CZ material, diamond appearance can be modeled with this software (see Figures 7 and 8) by using the appropriate refractive index and the absorbtion spectrum. 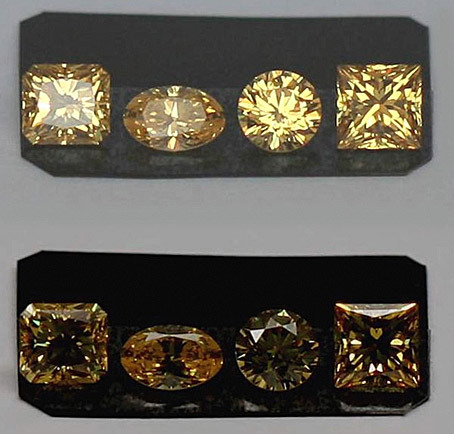 It is advisable to use several controlled lighting conditions when designing and optimizing new cuts because of diamond's variability in appearance under different lighting conditions. Diamond proportions that have an inconsistent appearance under different types of lighting can be avoided. A good diamond cut should have an attractive appearance under all lighting conditions. 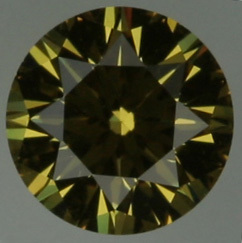 One can use computer models of several common illuminations to predict stones appearance before stones are cut. Figure 7. 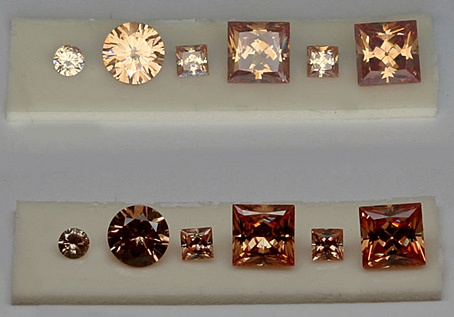 Colored diamond models under various illuminating conditions. Stones size 7 mm. Figure 8. 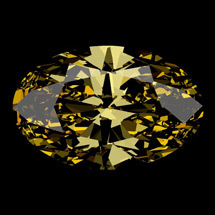 Colored diamond models based on another type of absorbtion spectum. Stones size 7 mm. 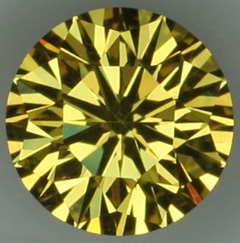 Yellow CZ absorbtion spectrum is used for Figures 1-6. 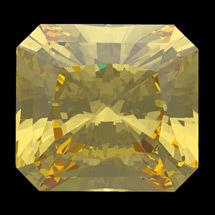 Yellow diamond absorbtion spectrum is used for Figures 7. 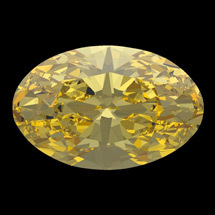 Yellow diamond absorbtion spectrum is used for Figures 8.